In a recent New Jersey decision, an appellate court considered a judgment of divorce after a marriage involving three children. The divorce judgment incorporated a handwritten stipulation of settlement to which the parents had agreed at the beginning of their divorce trial. The judgment awarded the two parents joint legal custody. The mother was designated the parent of primary residence, while the father was designated a parent of alternate residence. The judgment stated that the second mother would have parenting time on a two-week rotating schedule. It also provided that the parents would share summer school recess on an alternating schedule, but each mother could take a two-week vacation with the kids after providing 60 days' advance written notice to the other. The parents continued to quarrel about how the judgment should be implemented. On appeal, the defendant asked the court to review a post-judgment order entered by a judge who'd presided over the divorce and multiple applications after the judgment. The order was 19 pages, memorializing findings of fact and conclusions of law with regard to each of the remedies sought by the parties. 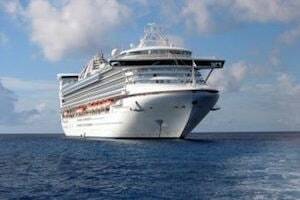 The trial court had denied the father's request to get the kids' passports to take them on a cruise in the Caribbean. This was based on the concern that the father might run off to Trinidad, where he was born and had family. A year before, the court had also denied a request to visit Trinidad because the mother was worried about medical care there and the possibility of his absconding with the kids. The court also denied the father's request to modify the schedule with the kids, due to a lack of a significant change in circumstances affecting their wellbeing. The father wanted to add to his parenting time by getting them every Wednesday after school for an overnight, after which he'd bring them back to school. The court decided this would be overly burdensome. The judge did allow some additional time on Fridays with the mother's consent. The court denied the father's request to keep the kids with him if the plaintiff were away overnight, since the plaintiff left the kids with her live-in boyfriend when she went on business trips. The court ordered the father could opt to take the kids if the plaintiff needed to travel for more than five days. The appellate court explained that the court's primary concern in deciding disputes about custody or parenting time is the children's best interests. A parent trying to modify parenting time has the burden of showing the court there were changed circumstances that would affect the child's welfare. The defendant argued that the lower court hadn't considered the kids' best interests in denying his requests to go on a cruise with the kids or take them when the mother was away overnight for work. The appellate court found that there wasn't enough merit in the defendant's claims to warrant further discussion. The judge was quite familiar with the parties and their arguments and therefore affirmed the lower court's order as being consistent with the law and adequately supported. If you are considering divorce in Bergen County, and you are concerned about child relocation or visitation, it is important to retain an experienced and aggressive attorney to seek an appropriate outcome. Contact the lawyers of Leopold Law at (201) 345-5907 or through our online form. We have attorneys available who can handle all aspects of a divorce.